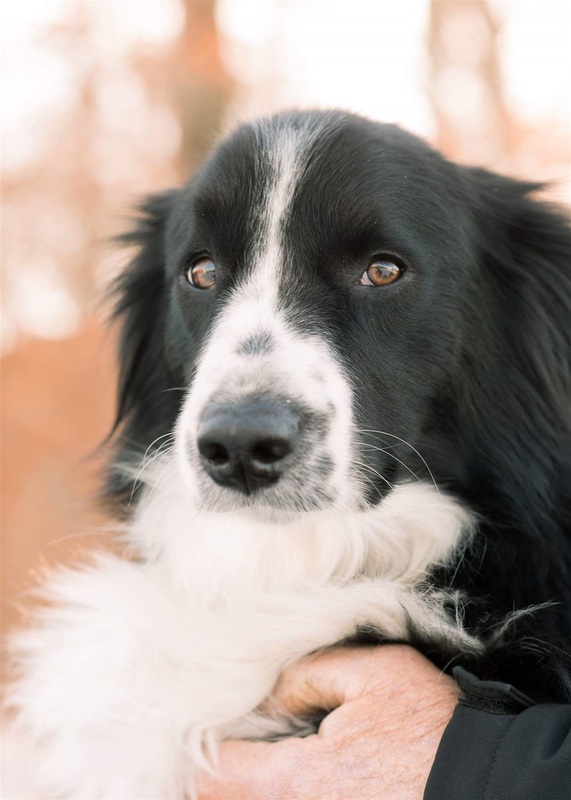 Meet Dan the Man. 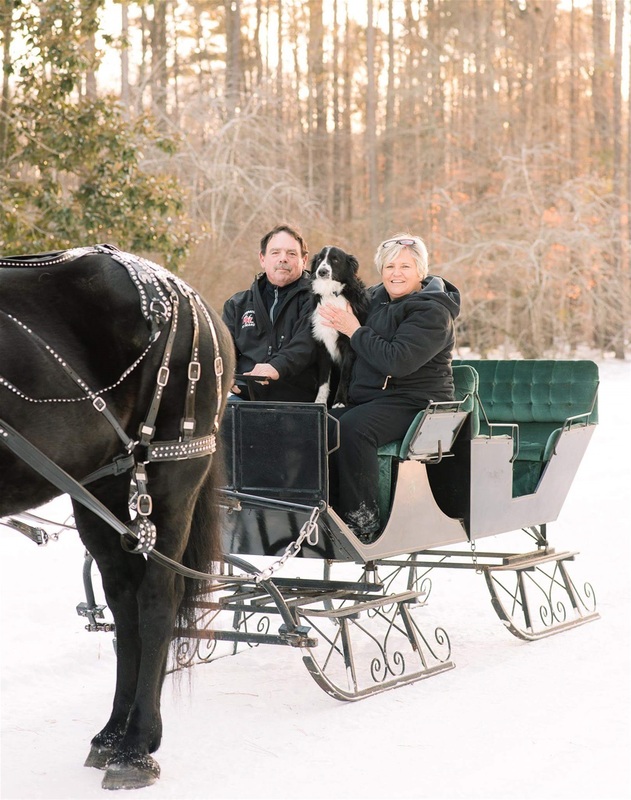 Owners Jim and Barb Hornbrook, NCWHMA Members from Kitty Hawk, NC. Dan the Man with his goat family. 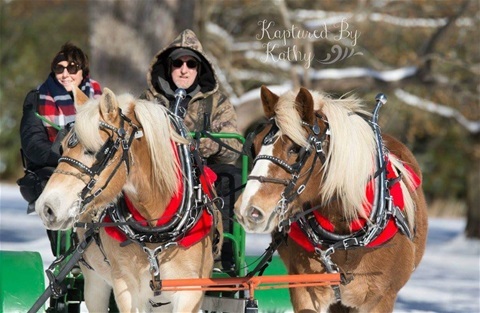 Owners Jim and Barb Hornbrook, NCWHMA Members from Kitty Hawk, NC. 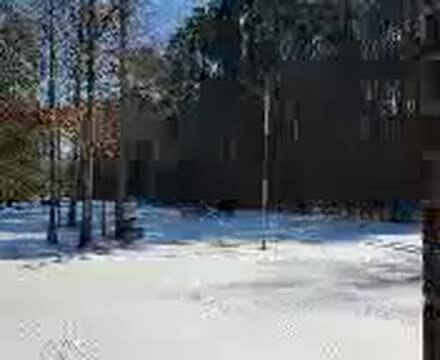 Shadow is peeping threw the fence at her photographer. 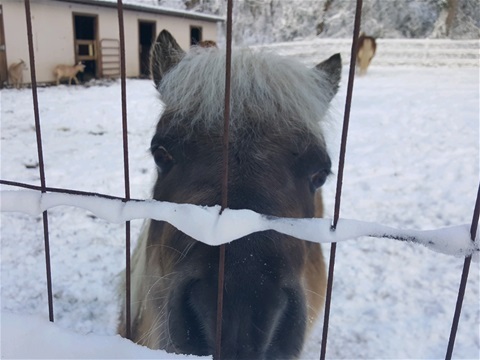 This little cute mini belongs to Jim and Barb Hornbrook, NCWHMA Members from Kittty Hawk, NC. Meet Candy. Owners are Jim and Barb Hornbrook, NCWHMA Members from Kitty Hawk, NC. 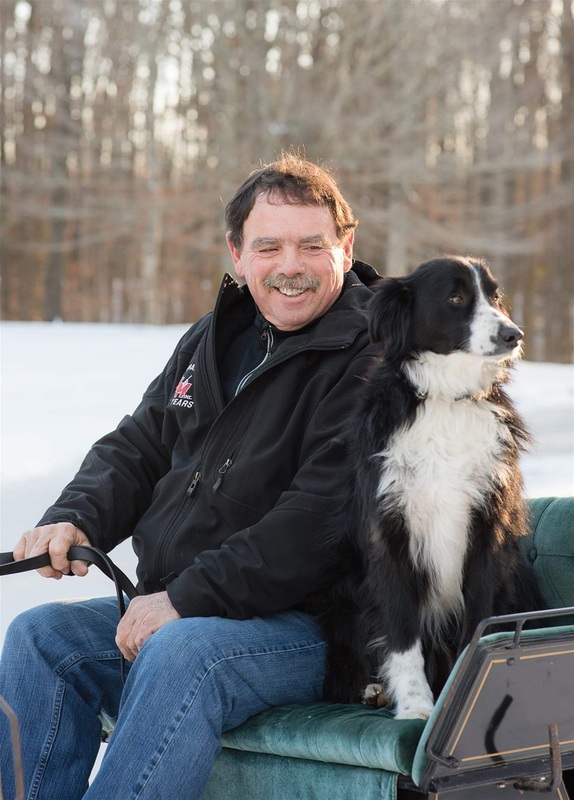 Roger Manning, NCWHMA Board Member from Williamstown, NC. 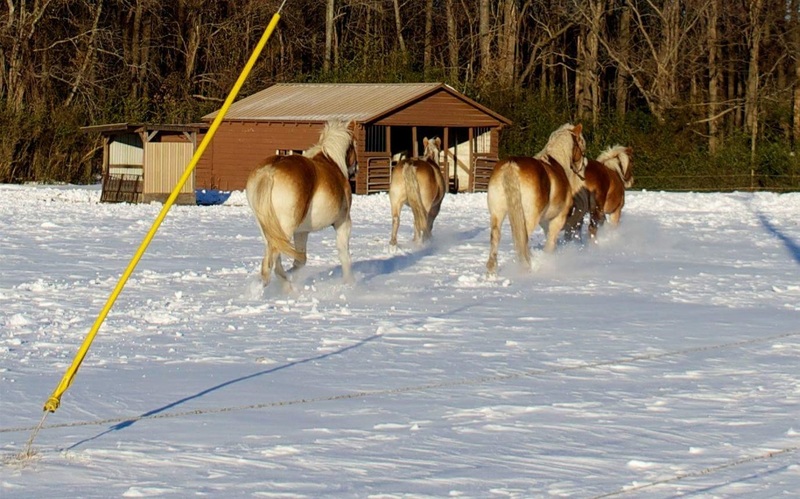 Pulling out this car with some real horse power. 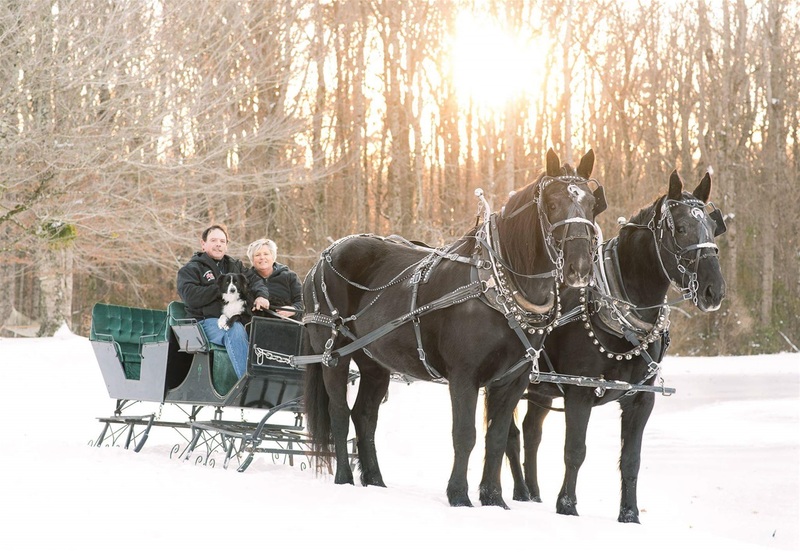 Owners Vincent and Christa Bunch, NCWHMA Members from Merry Hill, NC. 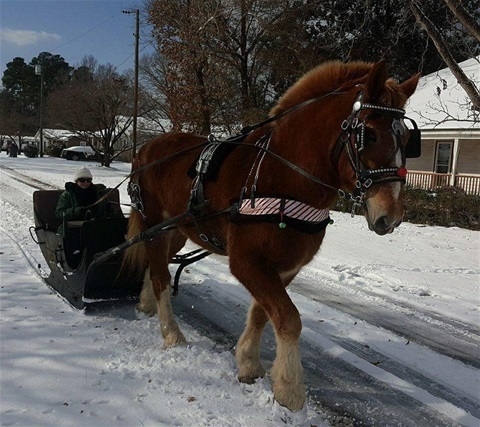 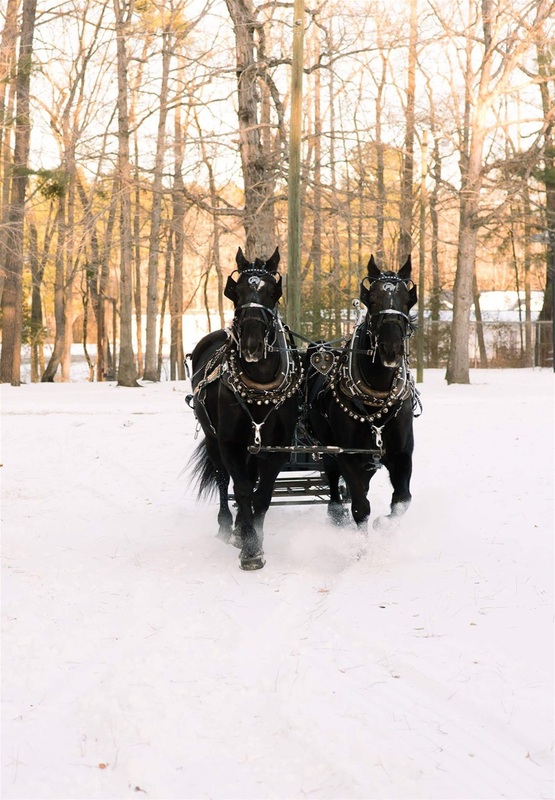 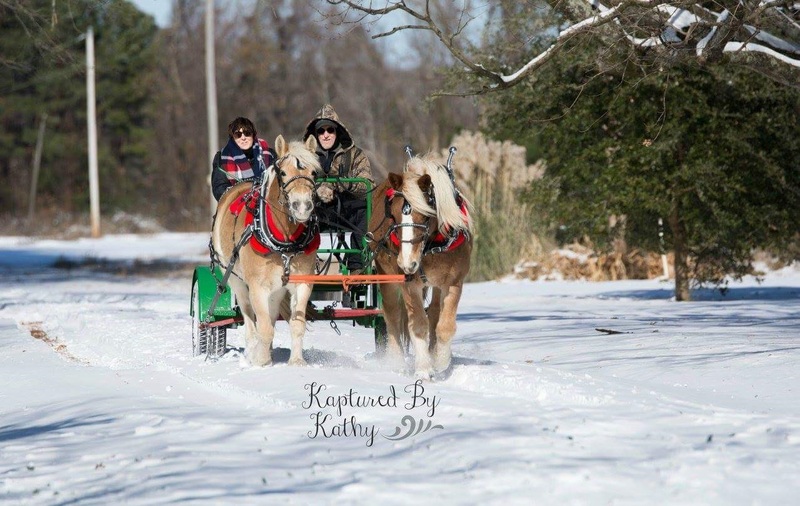 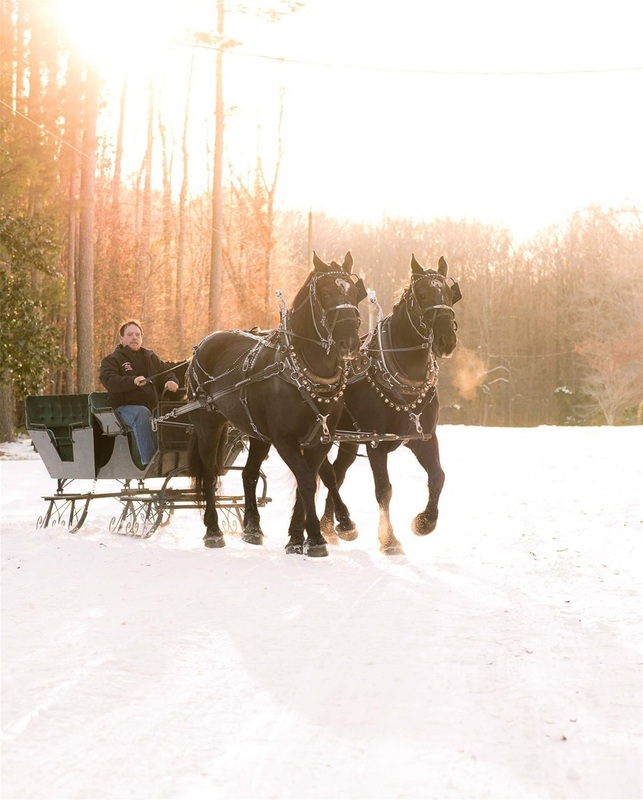 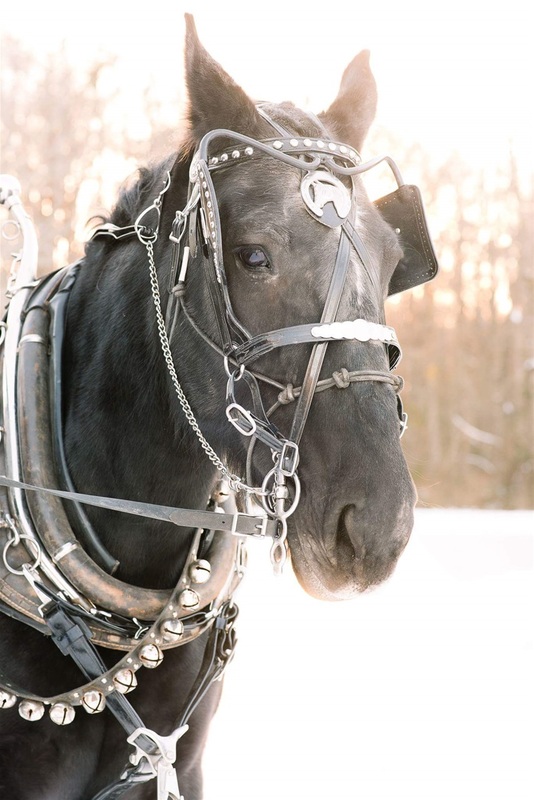 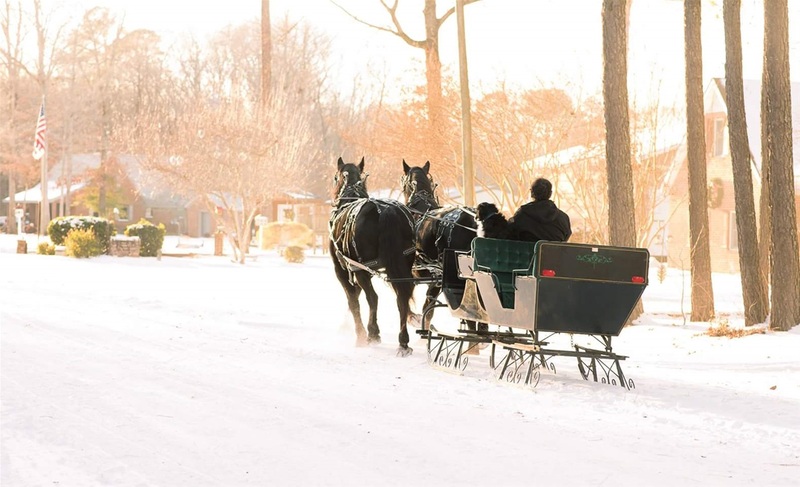 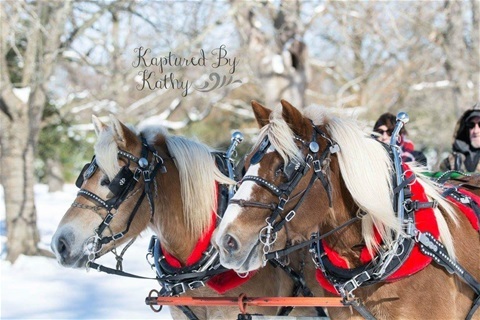 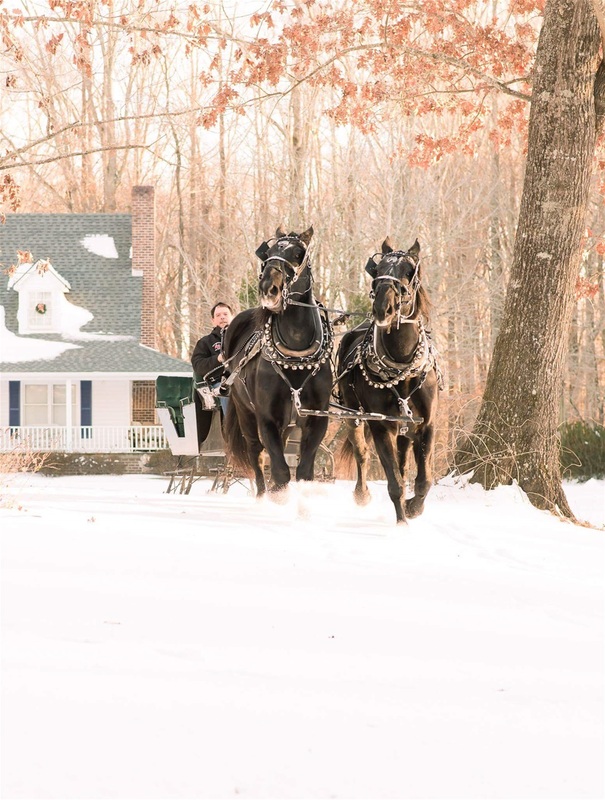 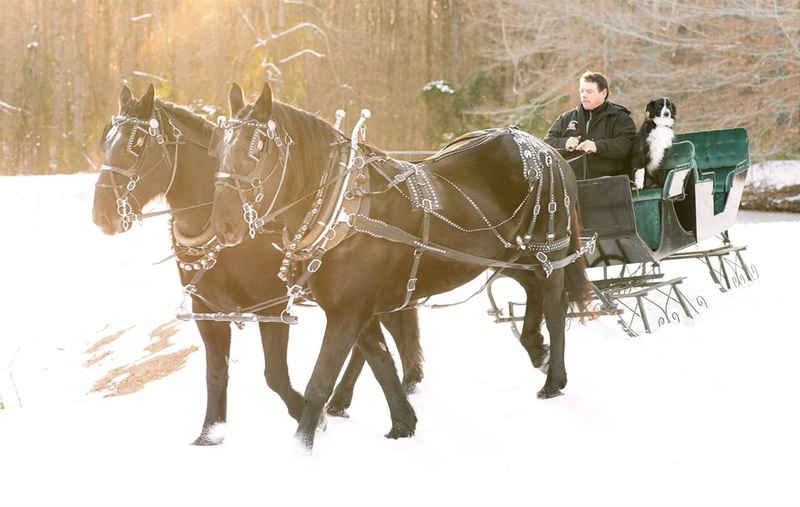 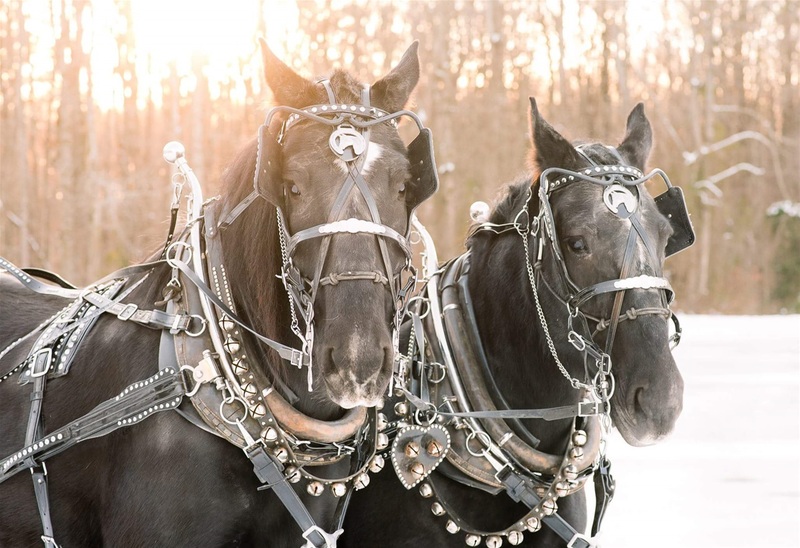 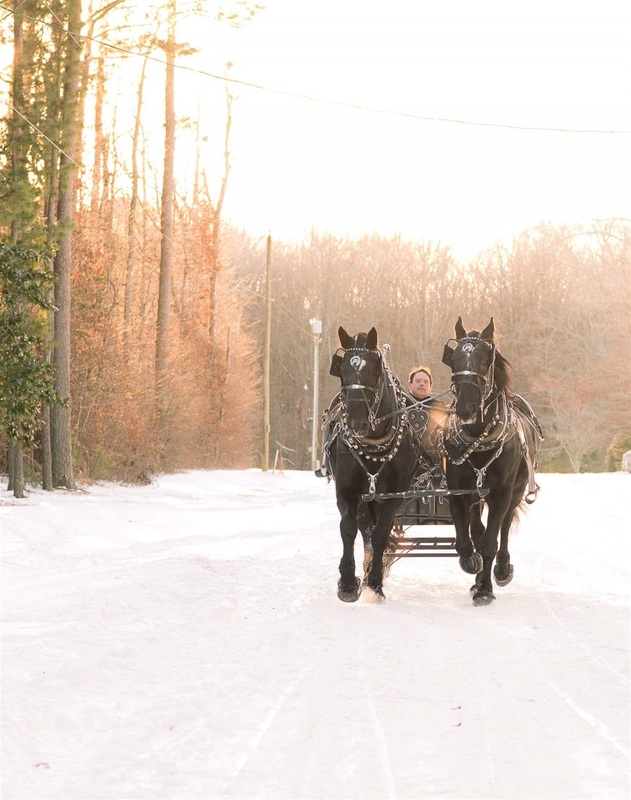 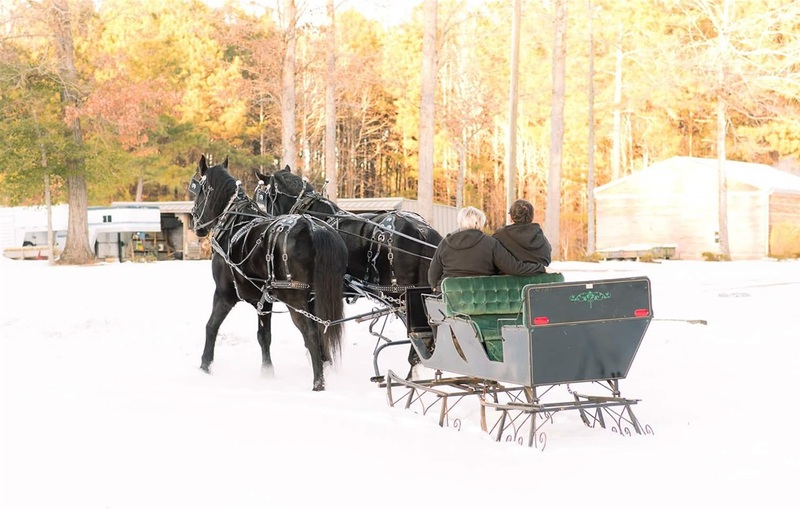 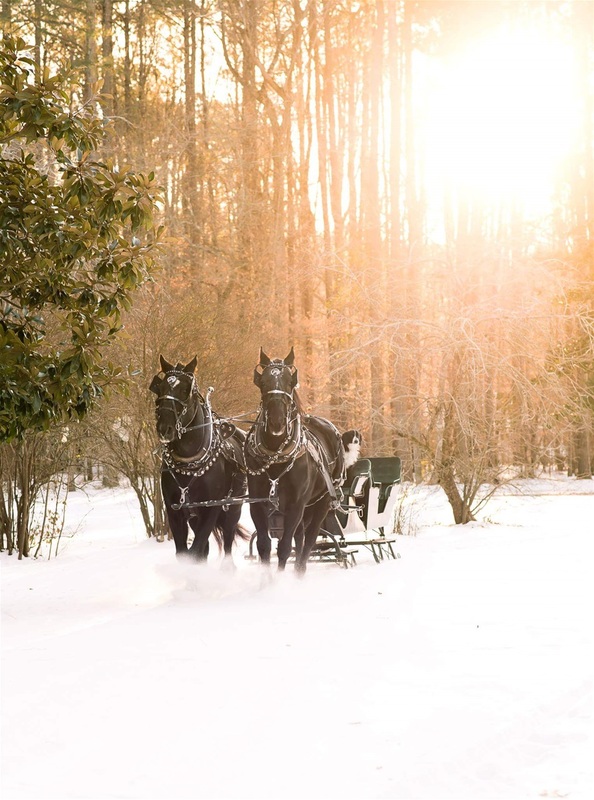 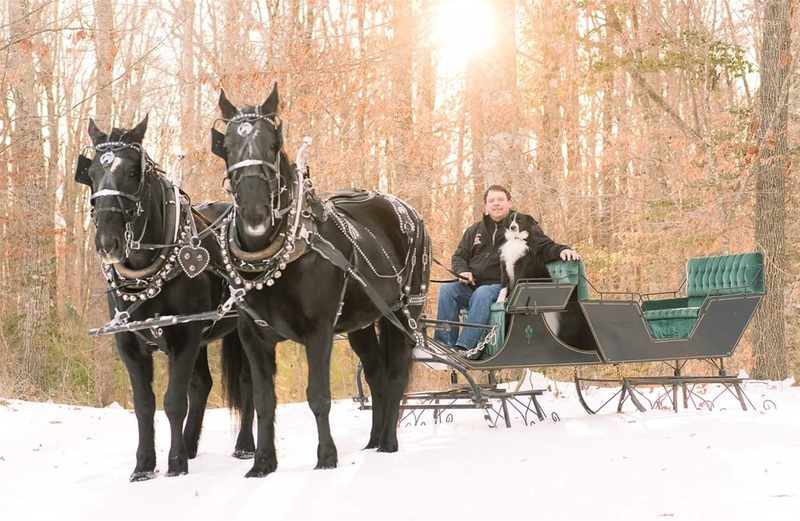 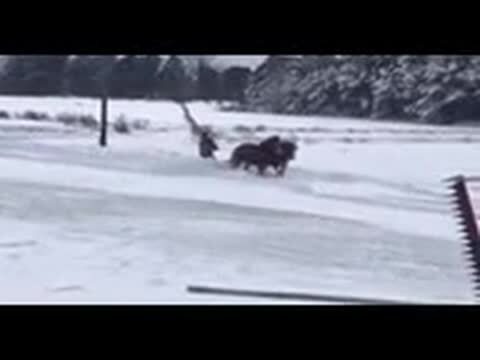 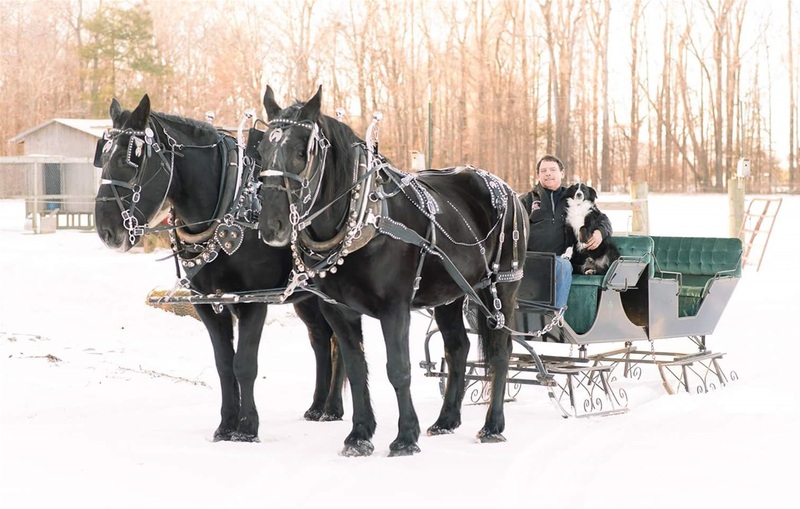 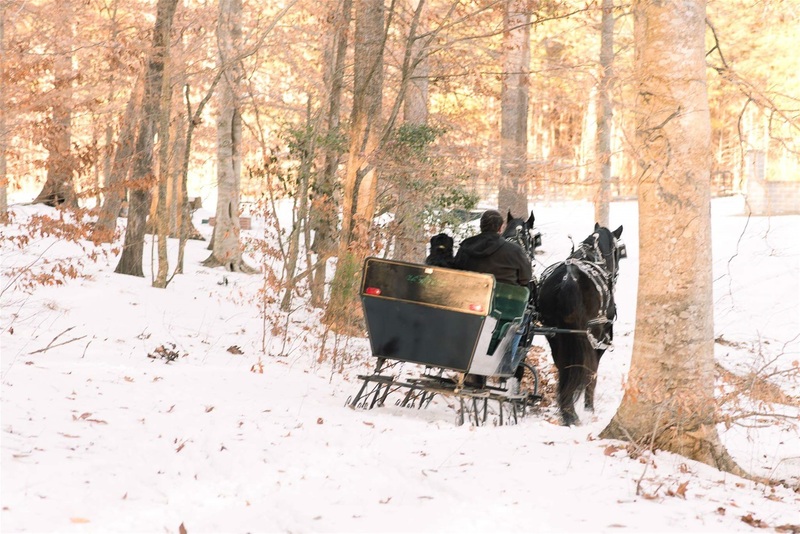 Tina Sutton from Roseboro,NC sleigh riding with Hercules. 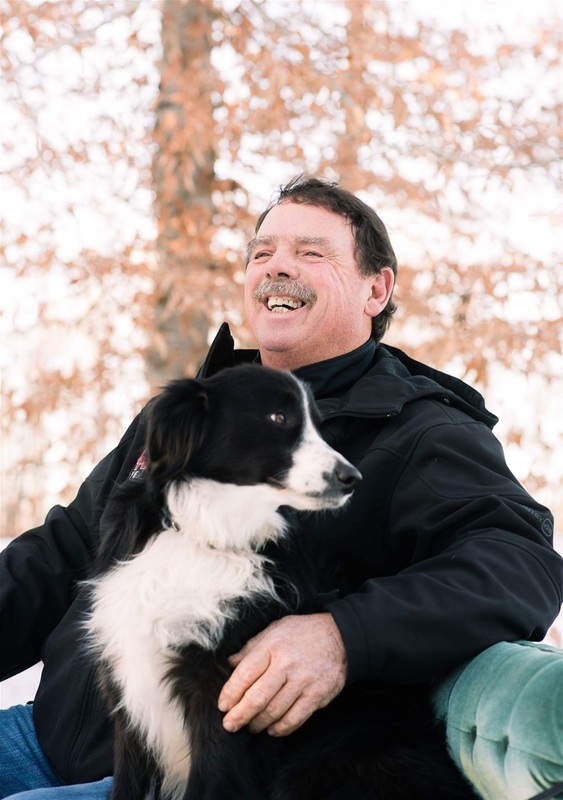 Roger Manning, NCWHMA Board Member from Willliamston, NC. 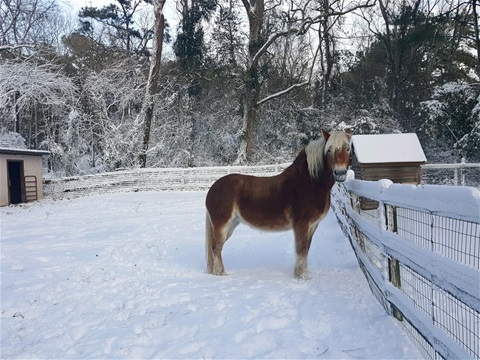 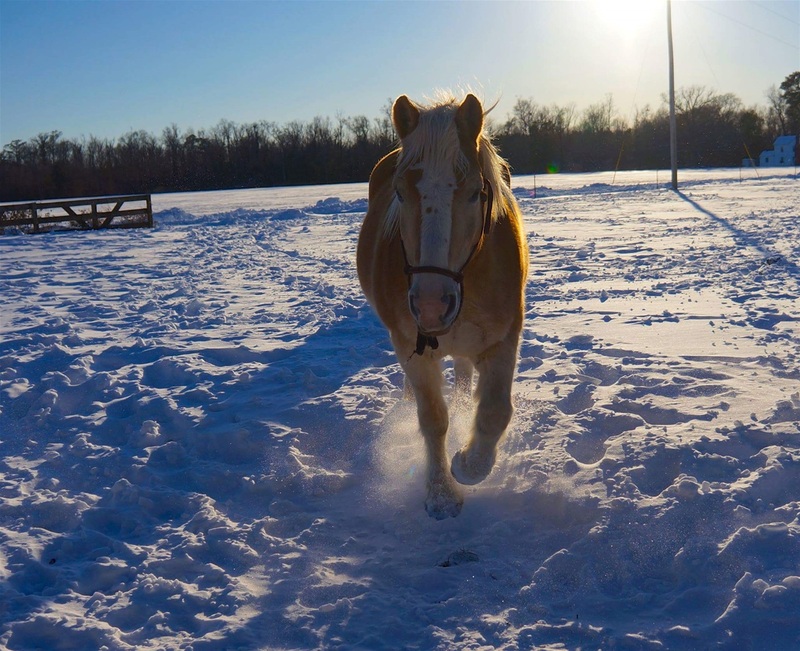 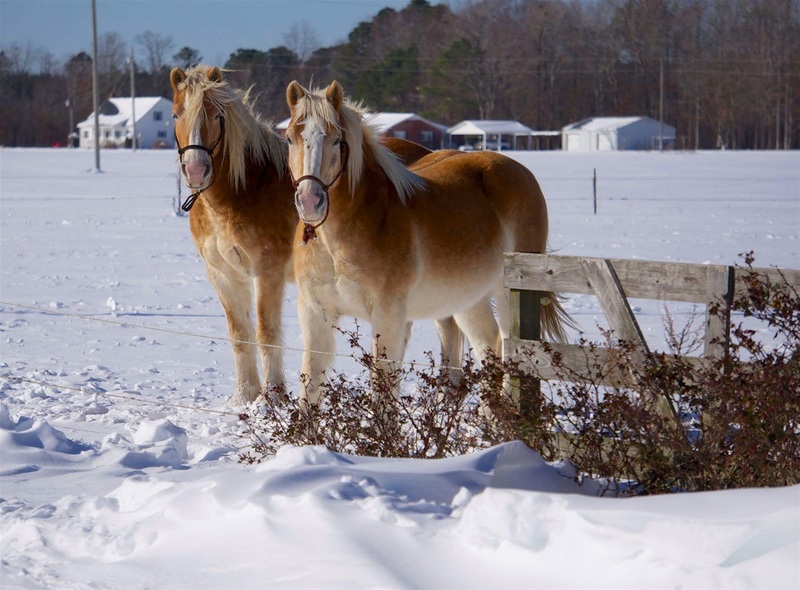 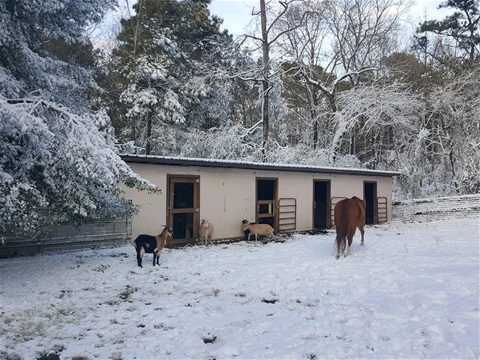 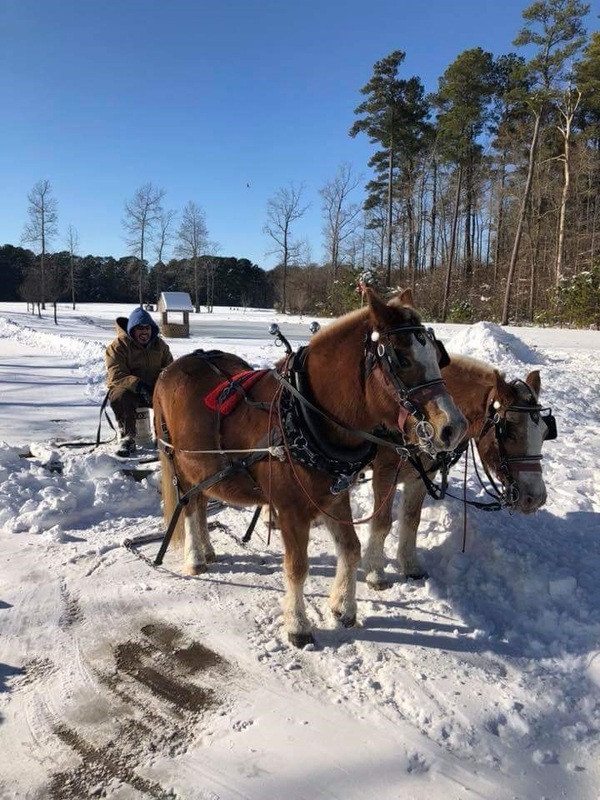 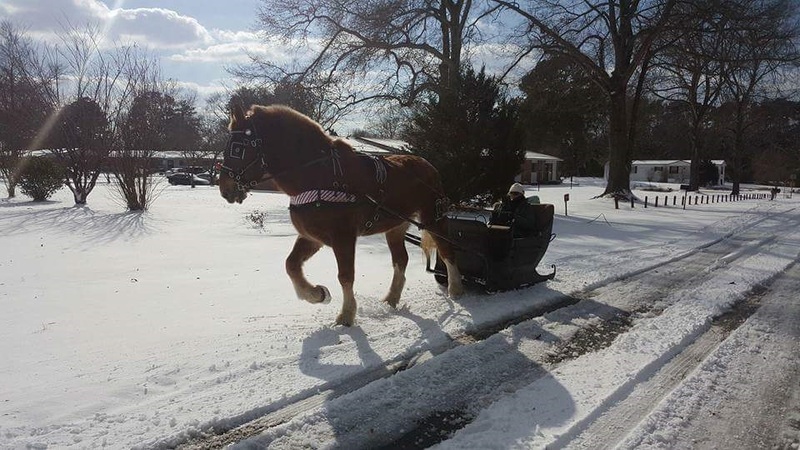 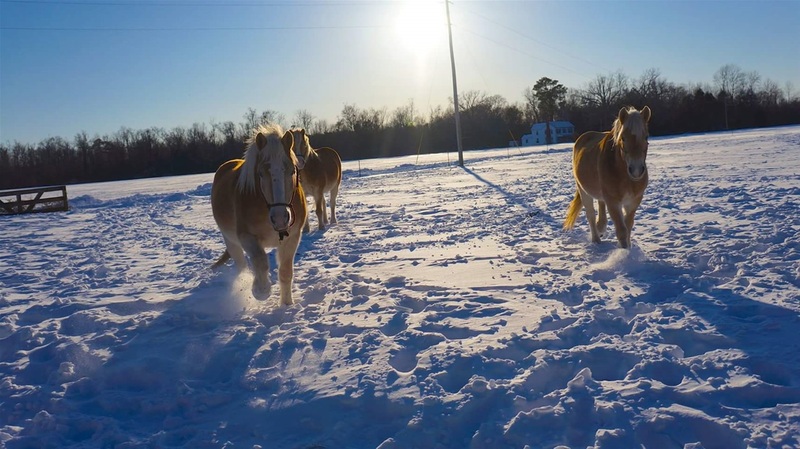 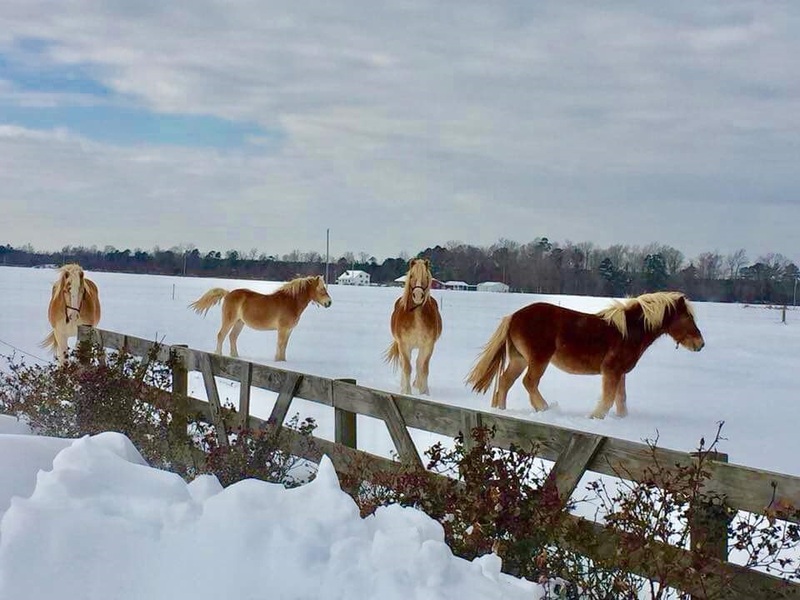 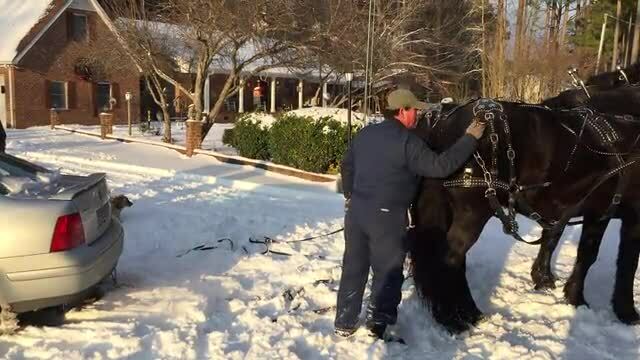 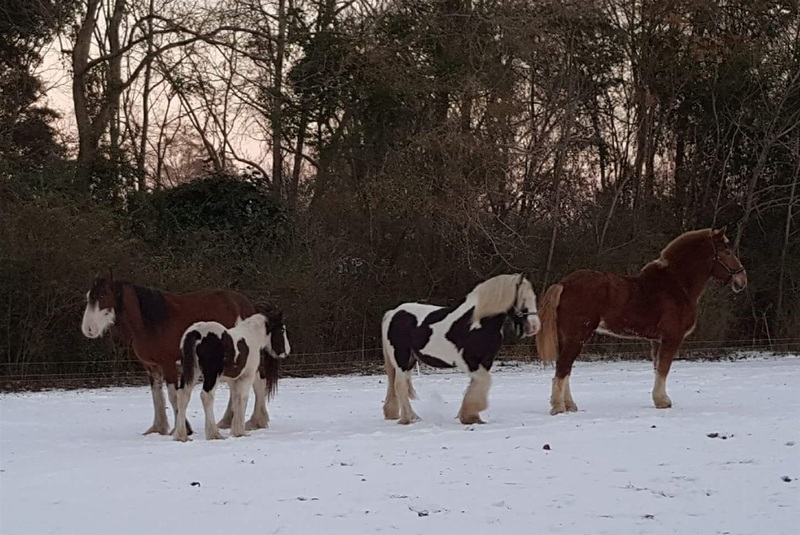 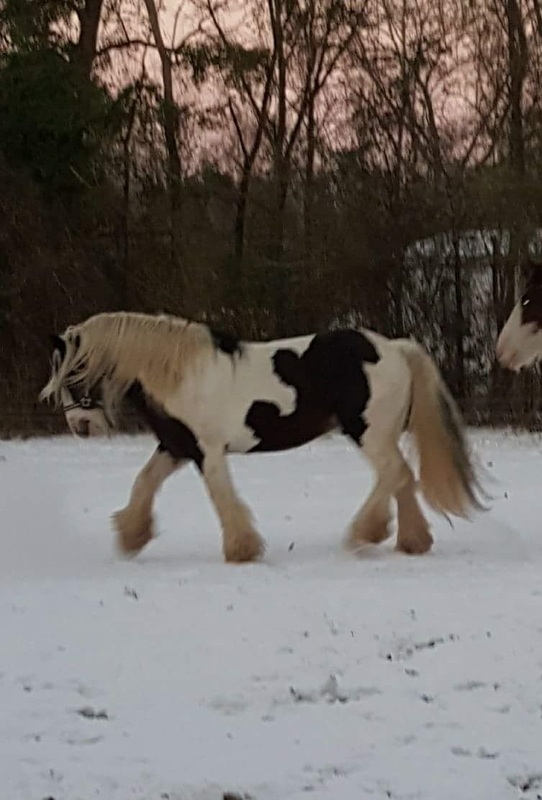 Randy Williams, NCWHMA Member from Elizabeth City, NC doing some snow plowing with his horses. 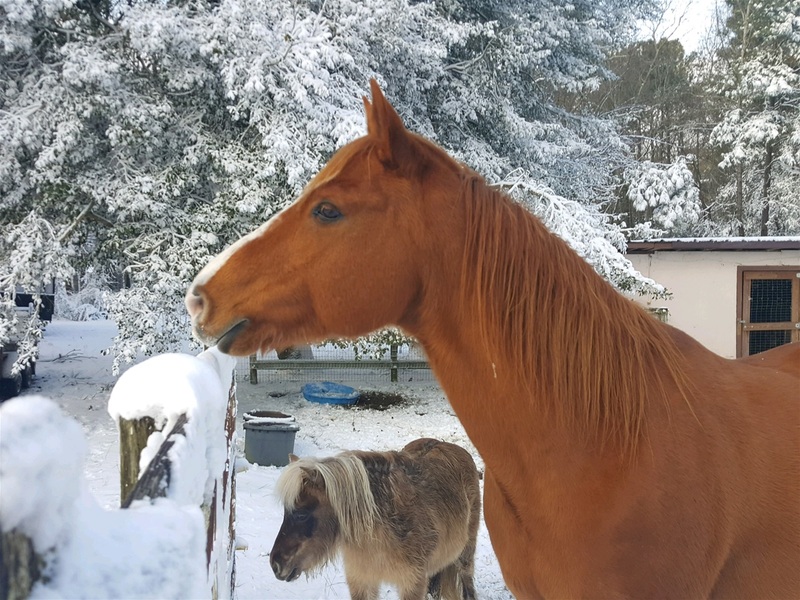 Billy and Bob.